More so now than ever before, schools are faced with ongoing challenges. They must be prepared for a wide-range of emergency situations from natural disasters to threats of violence. Although schools may have established procedures for dealing with many emergency situations, many do not have these protocols collected in a coordinated, concise manner that are reviewed annually. 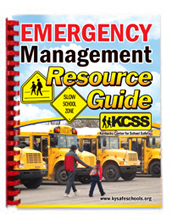 The 2016 revision of the Emergency Management Resource Guide (full text pdf) is designed to assist during the planning stage both at the school and district levels. Emergency Management Resource Guide (pdf -complete guide) has forms with fillable fields for schools to type their information into and save or print as needed. Schedule for Emergency Operations Training, Drill Schedule and Log, Emergency Team "Toolbox"
For districts and schools to make this guide into a useable plan for their specific set of criteria and to address collected school safety data the following sections of the Resource Guide are provided in editable Word doc and PDF formats. School emergencies are unexpected, unpredictable, and can take many forms. When developing school safety plans, Emergency Response Teams develop protocols to address threats or hazards specific to their school. This quick and easy reference guide (flip chart) is for immediate response and is not a complete school safety plan. 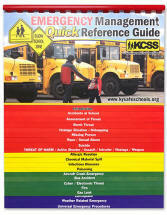 This quick reference guide uses FEMA's four categories of school related emergencies. Kentucky's current emergency plan law KRS 158.162, addresses the expansion of previous laws by requiring schools and districts to include community first responders in their emergency plans, and present an opportunity for review and refinement of current emergency and safety practices through continuous improvement. This expansion is a logical step taken after recent tragic events occurring in our nation's schools, ranging from intruders to tornadoes, and focus our attention once again on our goals and efforts to keep our students and staff safe. KDE provides guidance through a brief outline pdf entitled Emergency Management Plan-Frequently asked Questions and a worksheet entitled Emergency Management Refinement Worksheet. Schools should review and refine their current Emergency Plan then share with their school council for adoption annually. 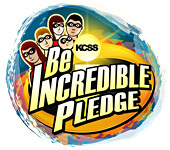 Adoption by the school council must occur prior to completing assurances in CDIP and no later than November 1st. The Kentucky Crime Prevention Through Environmental Design Checklist for school construction is to be used in compliance with KRS 158.447. This is now a part of the BG-1 process. It is designed to create open discussion among school district officials, board member and licensed design professionals (aka architects) when they begin planning for new construction or renovation projects in a school district.